Pia departs for Las Vegas/Miss Universe, here she comes! Posted in: 1 Pageant Pages, 2 Shout-out-Looks. Tagged: Jonas Gaffud, Miss Universe 2015, Pia Alonzo Wurtzbach. Miss Universe Philippines 2015 Pia Alonzo Wurtzbach has departed for Las Vegas to compete in Miss Universe 2015. I have no more words to say. Posted in: 1 Pageant Pages, 2 Shout-out-Looks. Tagged: Mister International 2015, Neil Perez, Rappler.com. Tonight’s Mister International 2015 will be live-streamed by Rappler.com. You can start checking for updates starting at 7:30PM onwards. The actual show should begin somewhere between 8:00-9:00PM. My Rappler colleague Alexa Villano will be inside the Newport Performing Arts Theater of Resorts World Manila to bring you the complete proceedings as they happen, when they happen. Will one of the guys above win Mister International tonight? Posted in: 1 Pageant Pages, 2 Shout-out-Looks. Tagged: Cary Santiago, Miss Supranational 2015, Rogelie Catacutan. Miss Philippines Rogelie Catacutan has gone through all the preliminary phases of competition – swimsuit, evening gown and interview. There is a waiting period from this point hereon where endless rehearsals will fill in the schedule of the candidates. My hope is that our bet has done more than enough to secure a good placement at the very least. Of course, nothing beats aiming for the Philippines’ 2nd Miss Supranational crown. We just need to stay positive but at the same time ready for any eventuality. Bon voyage, Mister Worldwide Philippines Jolo Dayrit! Posted in: 1 Pageant Pages, 2 Shout-out-Looks. Tagged: Jolo Dayrit, Mister Worldwide 2015, Mister Worldwide Philippines 2015. Posted in: 1 Pageant Pages, 2 Shout-out-Looks. Tagged: Julia Morley, Miss World 2014, Miss World 2015, Rolene Strauss, Sanya. 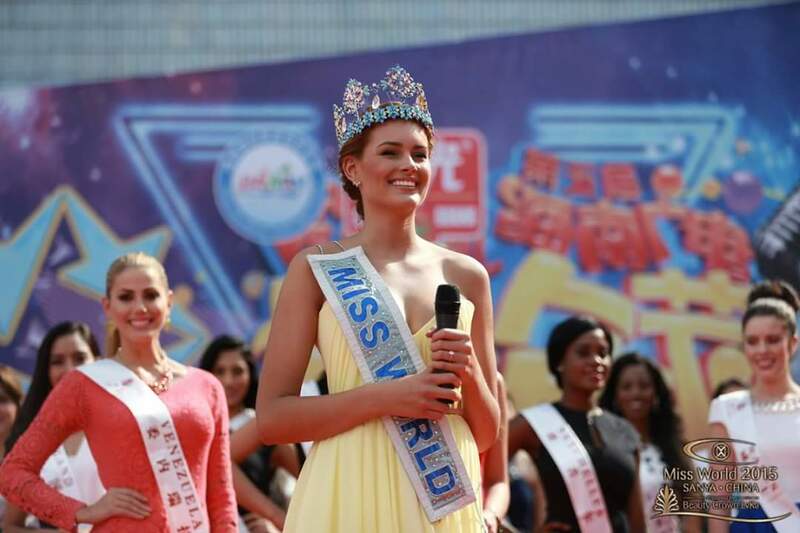 The Miss World Organization (MWO) couldn’t have picked a more qualified winner last year in Rolene Strauss. This South African lass has been continuously performing her duties as the reigning titleholder to a T. And now that she is leading the delegates of Miss World 2015 in almost all the pre-pageant events in China, there is the ingrained responsibility of becoming big sister to everyone. She is both warm and gracious. Her presence is commanding but still accessible. Posted in: 1 Pageant Pages, 2 Shout-out-Looks. Tagged: Angelia Ong, Chico Estiva, Miss Earth 2015, Miss Supranational 2015, Rogelie Catacutan. Consider this a 2-in-1 post about our ladies in Miss Supranational 2015 and Miss Earth 2015. Over the weekend, Miss Philippines Rogelie Catacutan competed in the preliminary swimsuit competition of her pageant in Poland. And she looks quite fetching in the orange two-piece she wore for the judging. Meanwhile, another Miss Philippines, Angelia Ong, had her official National Costume photo released in Vienna. As previously blogged, she is wearing a Chico Estiva original inspired by the Sampaguita flower. Many significant things will happen this week for both. The finals of both competitions will come one after the other. December 4 for Supra and December 5 for Earth. Posted in: 1 Pageant Pages, 2 Shout-out-Looks. 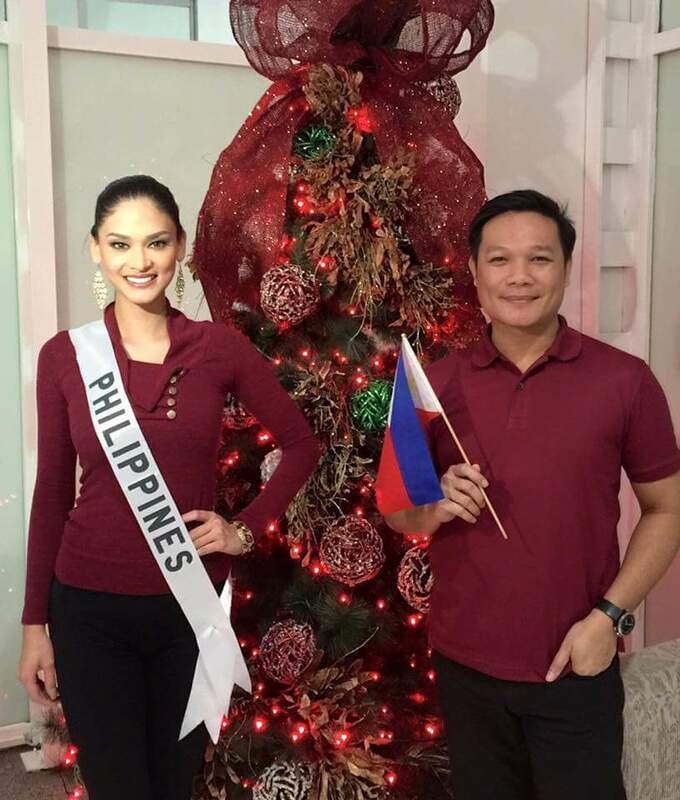 Tagged: Miss Universe 2015, Miss Universe Philippines 2015, Pia Alonzo Wurtzbach, Raymond Saldana. Gone are the days when Miss Universe Philippines 2015 Pia Alonzo Wurtzbach would be bashed for teetering dangerously close to being on the plump side. She took all the beatings to heart and made an absolute resolve to prove her detractors wrong. After several months of intensive training with Fitness Guru John Cuay, above is the new form of our Queen – thinner, shapelier and definitely curvaceous. And as she departs for Las Vegas very very soon, Pia will be fully armed. Fueled with the desire to do the Philippines proud and committed to gift the Philippines with its 3rd Miss Universe crown, she will embark on a journey that will prove that she is well-deserved.